2013 is literally flying by... I am just 2 months (actually, 62 days, but who's counting) away from graduating from law school, and I have so much to look forward to before I start studying for the dreaded bar. This is not even a question. I recently signed up for Netflix solely for the purpose to watch all 8 seasons of 24, and I'm literally addicted. I only got it halfway through the month and I'm through the 3rd season (there are 24 episodes per season, for the record). 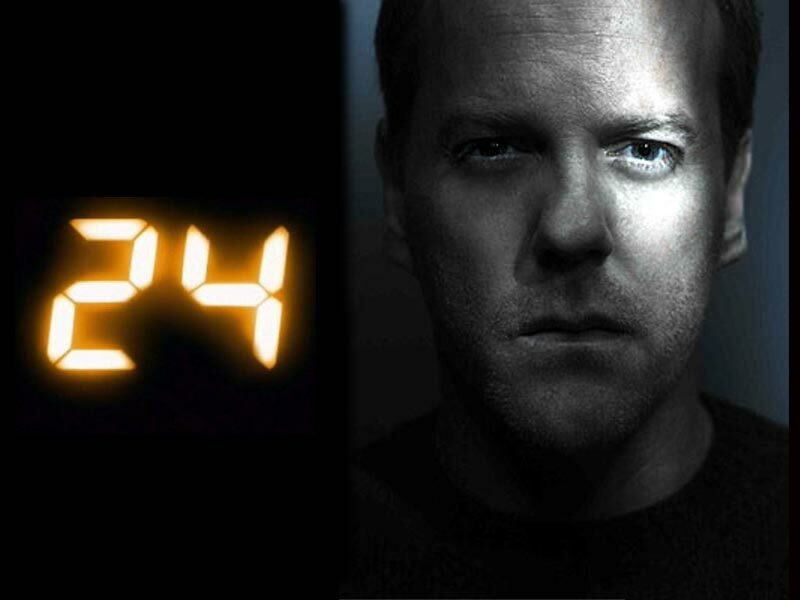 I know I'm a decade late to this party, but I'm quite convinced that Jack Bauer could rule the world. I also have a new-found love for Kiefer Sutherland. I was obsessed with Pitch Perfect (and mainly Rebel Wilson) in theaters so when I saw it on Amazon for $10, I snatched it and watched it as soon as it was delivered. If you haven't seen it, go rent it (or buy it) immediately. Sweet Food: Brach's Jelly Beans These (along with bunny Peeps) are by far my favorite Easter candy. Easter candy in general is my favorite holiday candy, and when I saw these out at Target right after Valentine's day, I scooped them up and loaded an entire bag of them into a jar in my room. Holy moly, I forgot how amazing these were until I hadn't eaten them in ages and then stumbled into a drive-thru line fairly hungover one morning. This may seem like a lame choice, but literally: Fuji Apple Chicken Salad on repeat. OMG. Starbucks Drink: Now that my Starbucks is officially out of pumpkin spice syrup (tear), I've switched to 3 shots of espresso over ice with 3 pumps of white mocha. I've found that I need to use a syrup that isn't clear because they don't mix as well with just plain espresso. I'm loving this candle in my room right now! 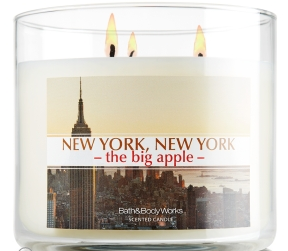 It came out with the Cities Collection at B&BW and this reminds me of a warmer version of Farmstand Apple (which you all know how much I love). Its description on the bottom of the candle reads: "Visit the city that never sleeps with the indulgent scent of red apple blossoms and golden amber." Since I just bought the movie, I also downloaded the rest of the soundtrack that I didn't already have, and this is one of the songs. I've just been listening to it on loop in my car. Seriously, my next boyfriend will be a singer; I die over their voices. Honestly, I'd say Nordstrom.com again for the amount of shopping I've been doing there, but I'm going to have to put it on the back burner this month for Netflix. I have been watching so much Netflix in the last month, that it's hard not to list it as my favorite website. Allyce has been one of my closest friends since freshman year of high school (we graduated from the same high school in 2006), and really one of the few people from my high school class that I make a serious effort to stay in touch with. So much of our personalities are similar that were just a dynamite duo. I'm even going to visit her in Palm Harbor, Florida after I graduate in May! (as a graduation present to myself, of course.) 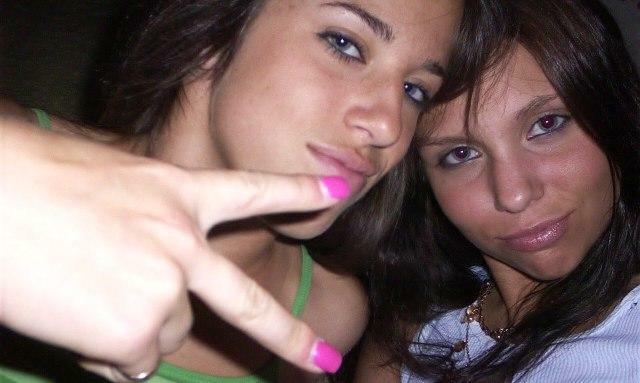 This girl has been my rock through some really hard times in my life, and my partner in crime during some of the best. Love you #hurricanesupreme. So those are my non-beauty February favorites! Stay tuned for my beauty & fashion favorites next week! I'm headed off to Nashville for the night for an impromptu trip with my cousin & his friends. Enjoy your weekend, y'all! I'm saving it when I'm done as a container. I love it so much.